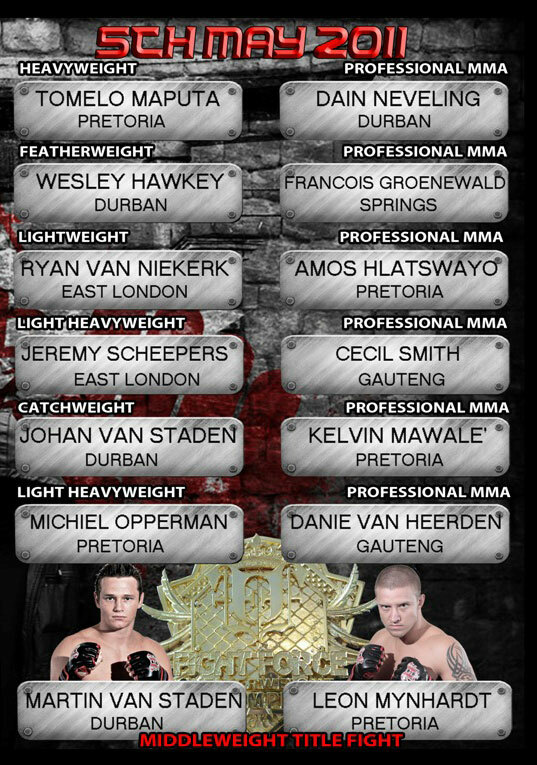 Get ready for another explosive night of MMA with Fight Force including a middle weight title fight with no other than Leon Mynhardt and Martin van Staden. Both fighters have the skill to finish the fight quickly. Martin, the more experienced, has an obvious advantage but Leon enters brings serious striking ability and wont go down without Martin having to do some work. Having gone up against each other previously there is no doubt both warriors will have learned a thing or two. 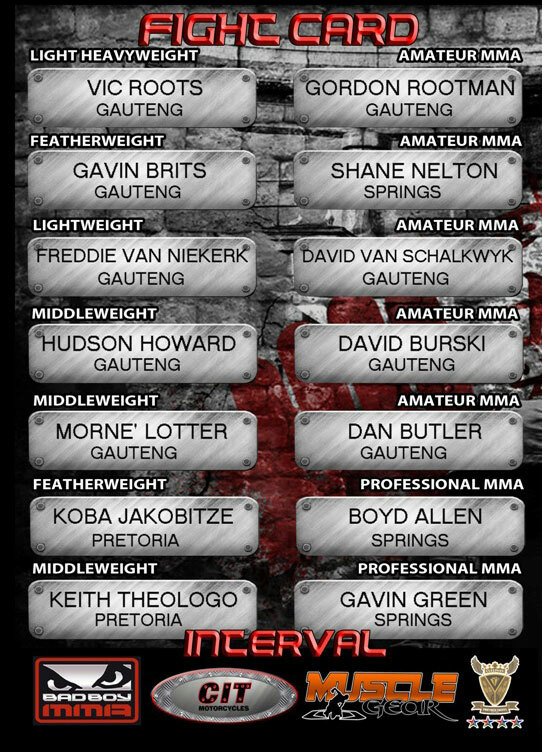 such names as Danie van Heerden, Jeremy Scheepers, Johan van Staden and many more. see below. Good day to all fighters and fighting fans alike. I recently started training at a karate dojo in Bethlehem in the Eastern Freestate. I’m interested in participating in amateur events , but I don’t know where to start or where to apply for this. If anyone can please help me. ONE 0 MUST GO !!!!! All African Champ wants that Strap !!!!!!! !